With the rise of the modern technology, especially sites like Youtube and now even Facebook, video editing desktops have become “Must have” skill if you want to create and edit professional looking videos. In the past only real professional that were employed by the movie companies and etc. But now the whole thing has turned upside down. Almost every person can create a professional looking video and post it on the internet for the whole world to see it. And the best thing is that you don`t have to pay a single dime for uploading the video. But one thing that you really need is a desktop for video editing. In this article we will talk about the Best desktops for video editing in 2019 and why you should buy them. 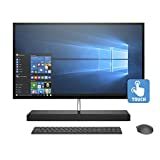 2017 HP Pavilion Full HD IPS 27 inch Touchscreen all-in-one Desktop is definitely one of the best desktops for video editing on the market right now. Its all-in-one design makes this desktop look sleek, clean and modern looking. Also, the addition of the IPS 27“ Touchscreen makes this desktop, even more, user-friendly. 2017 HP Pavilion Full HD IPS 27“ Touchscreen all-in-one Desktop features Quad-Core Intel® Corei7-6700T (2.8 GHz, turbo boost to 3.6 GHz, 8 MB cache, Quad cores) which is one of the best CPU-s for video editing on the market right now. 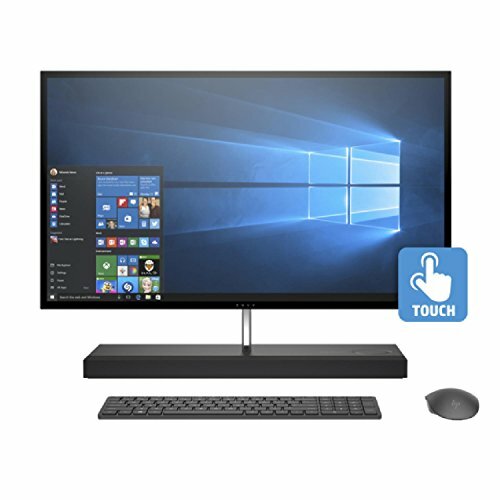 2017 HP Pavilion Full HD IPS 27″ Touchscreen all-in-one Desktop also comes with NVIDIA® GeForce® 930MX graphics with 2GB GDDR5 dedicated memory which is quite good graphics card if you using it for video editing. But if you are looking for all-around desktop capable of high-end gaming, then you should look elsewhere. 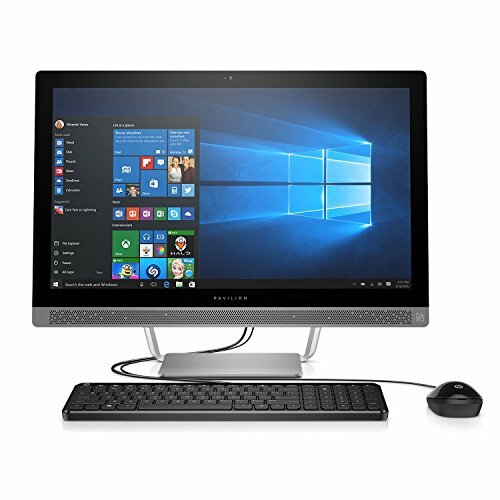 2017 HP Pavilion Full HD IPS 27“ Touchscreen all-in-one Desktop also comes with 16 GB DDR4-2133 SDRAM memory which is quite enough for even most demanding video editing tasks. And a 1 TB 7200 rpm SATA Hard Drive, Ultra Slim-tray SuperMulti DVD burner. All in all 2017 HP Pavilion Full HD IPS 27“ Touchscreen all-in-one Desktop is definitely worth the money if you are just starting with video editing, but it is also a good choice for people who already have a lot of experience with video editing. All in all a great product. When you are looking for something new, something that is futuristic and next-gen, you need to feel that the product looks like and acts like the next-gen product. And HP ENVY 34 Curved Desktop 2 TB is definitely a desktop for video editing that brings that, and much more. HP ENVY 34 Curved Desktop Offers one of the best components of any desktop for video editing on the market. It comes with Intel Core i7-6700K at 4.00GHz with TURBO BOOST to 4.20GHz ( EXTREME-power processor), which is one of the best processors for video editing and all around computing. HP ENVY 34 Curved Desktop also comes with 32 GB of RAM (ULTRA performance) Which will allow you to render video with incredible speeds. HP ENVY 34 Curved Desktop also comes with Geforce 960A with 2 GB of dedicated video RAM which is expandable to a total of 8GB of video RAM, which is one of the best video cards for video editing. It also comes with SSD drive which will make this desktop as fast as a rocket. 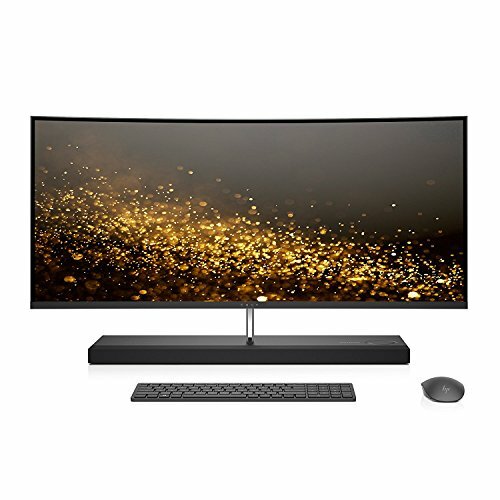 And the probably the best selling point is the 34″ CURVED Brilliant diagonal widescreen WQHD LED-backlit display (3440×1440) which will allow you to have a perfect picture of everything that you are doing on your desktop. HP ENVY 34 Curved Desktop is definitely one of the best desktops for video editing on the market, but you should only buy it if you are really into video editing because otherwise, it will just collect the dust and not be used for its best potential which is video editing. 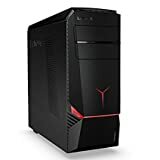 There are some desktops that are great for the video editing, there are some desktops that are great for gaming. But what if you could get bought in the same? That’s where Lenovo IdeaCentre AIO Y910 comes in. This all-in-one desktop for gaming is also a pretty capable machine for video editing. It comes with Intel Core i7-6700 processor. Lenovo IdeaCentre AIO Y910 also comes with one of the best gaming video cards on the market, NVIDIA Geforce GTX 1070 which is a VR ready video card. Lenovo IdeaCentre AIO Y910 also comes with 16 GB RAM (GDDR5). Another great addition is 128GB SSD and 1TB standard HDD. All in all, Lenovo IdeaCentre AIO Y910 is a beast of the machine. If you need a PC that is great for video editing and gaming then Lenovo IdeaCentre AIO Y910 is a perfect choice for you. If you are looking for the budget desktop for video editing, then HP Pavilion 27 inch is a perfect choice for you. HP Pavilion 27“ comes with Quad-Core Intel® Corei7-7700T (2.9 GHz, turbo boost to 3.8 GHz, 8 MB cache, Quad cores) which is a great budget processor from Intel. It also comes with NVIDIA® GeForce® 930MX graphics with 2GB GDDR5 dedicated memory which will allow you to render videos with exceptional speeds. HP Pavilion 27“ also comes with 16 GB DDR4-2133 SDRAM memory. 1 TB 7200 rpm SATA Hard Drive, 128GB SSD, Ultra Slim-tray SuperMulti DVD burner which are all great components for a budget all-in-one desktop for video editing. HP Pavilion 27“ is definitely one of the best options for all future video editors that are just coming to the space of video editing. It is a great desktop for learning all that you need to know about video editing. And with time you could get yourself a better desktop for video editing, but for the noobie, HP Pavilion 27“ is a great choice. If you are the type of guy that prefers iOS over Windows then we have a product for you which will not break your budget. And that product is Apple iMac MK482LL/A 27-Inch Retina 5K Display Desktop. We all know that build quality of Apple products is top notch, same goes with the Apple iMac MK482LL/A 27-Inch Retina 5K Display Desktop. This beautiful all-in-one desktop comes with Mac OS X El Capitan or Mac OS Sierra operating system. It comes with Intel Quad-Core i5 3.3GHz which is quite good CPU for rendering and editing videos. Apple iMac MK482LL/A 27-Inch Retina 5K Display Desktop also comes with 8 GB of RAM which is not a lot, but it will do its job. But the place where Apple iMac MK482LL/A 27-Inch Retina 5K Display Desktop shines is in its 2TB Fusion Drive and beautiful 5K display which will give you visual clarity like no other desktop for video editing on the market. 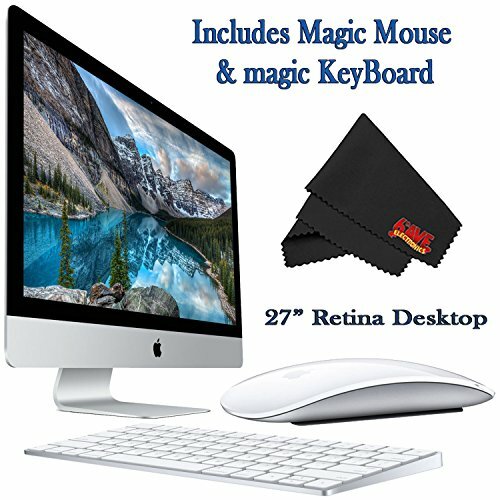 All in all, Apple iMac MK482LL/A 27-Inch Retina 5K Display Desktop is a great product for Apple fanboys, but also for all the people that are looking for a professional and affordable desktop for video editing. You should definitely keep your eye on this one. Lenovo Idea Centre Y700 is the first desktop for video editing that is not all-in-one desktop, at least the first one on our list. But that does not make it bad or less worth by any means, let us tell you why. There are many different versions of Lenovo Idea Centre Y700, but the best one is somewhat expensive. But for that money, you get the beast of the machine. Lenovo Idea Centre Y700 comes with amazing 1TB SSD + 10TB HD which will give you all the storage that you need for your video editing needs. It also comes with NVIDIA GeForce GTX w/4GB dedicated & up to 10GB total video RAM which will give you all the graphical power that you need for rendering videos. This is a beast of a machine that is capable of high-end gaming and high-end video editing. Of course that there are some drawbacks like the price and that you need to buy peripheral devices like monitor, keyboard, and mouse. But if you are interested to get the best pretty much all the best specs for video editing and gaming. 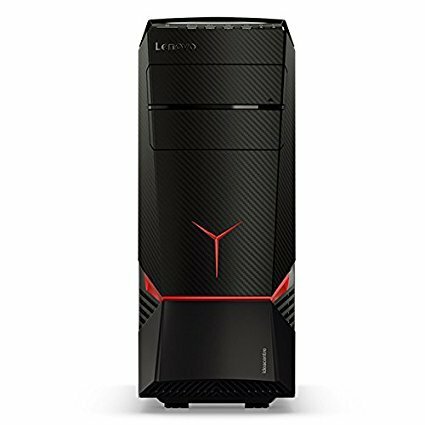 If you need a desktop computer for video editing and a little bit of gaming then Lenovo Idea Centre Y700 is a perfect choice for you. This is another one desktop for video editing which is definitely intended for Apple fanboys and professionals that prefer iOS over windows. Apple Mac Pro is a perfect desktop for video editing with a unique design. Apple Mac Pro looks like a futuristic computer that will definitely catch the eye of the people. The only real negative about the concept of Apple Mac Pro is that you need to buy peripherals that will make the cost even higher. 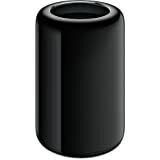 But if that is not a problem for you then Apple Mac Pro is a desktop for video editing that is quite good. The biggest drawback is pretty low hard drive storage. 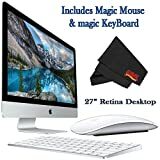 But if you are looking for the desktop for video editing that works well, looks good, and performs very well then any of the Apple Mac Pro is a perfect choice for you, it only comes to what amount of money you are willing to spend on the Apple Mac Pro because it is big difference from the lowest model to the best model. We are back again in the windows real and we will talk about one pretty interesting desktop for video editing, and that product is Asus G11CD. 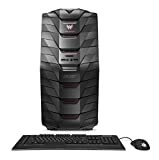 This desktop is a great choice for a future video editor and people who also need all around PC which is capable of the video editing and high-end gaming. Asus G11CD can come with some mid-range specs, but better models come with a very beefy hardware. Some of those components are Intel 3.4 GHz Core i7 6700 which is pretty good CPU for video editing. It comes with 16 GB 2133 MHZ DDR4 of RAM. It also comes with pretty great video card NVIDIA GeForce GTX 980 which is not the newest video card but is still one of the best video cards for video editing and gaming. 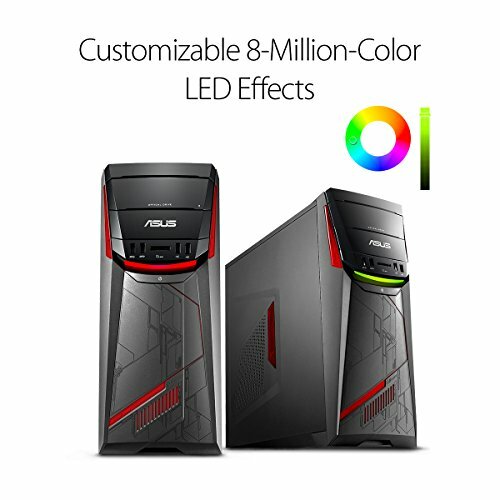 ASUS G11CD is the perfect choice for people who are on the budget. Sure, You don`t get All-in-one desktop package, but even if you buy them separately this desktop will still be much cheaper than most other desktops made for video editing. This is yet another entry from well know computer manufacturer HP. This is the all-in-one desktop perfect for video editing. HP Envy 27 Home and Business All-in-One Computer Intel i7-8700T features a beautiful and sleek design which will definitely catch the eye of every person that lies the eye on it. HP Envy All-in-One Computer is also perfect for gaming if you need an all-around computer which is definitely a plus. HP Envy 27 Home and Business All-in-One Computer Intel i7-8700T comes with 8th generation Intel(R) Core(TM) i7-8700T Processor with 2.40 GHz Up to 4.00 GHz, 12 MB Smart Cache, 6 Cores, which is very fast CPU that will render all of your videos in a matter of seconds. It also comes with NVIDIA GeForce GTX1050 (4 GB GDDR5 dedicated) which is superb video card for gaming and it is quite good for video editing. The display is 27-inch diagonal widescreen QHD (2560×1440) IPS WLED-backlit Micro Edge touchscreen which will allow you to interact with your desktop through touchscreen and input devices. HP Envy All-in-One Computer also comes with 16 GB DDR4 2133 MHz RAM which is quite enough for video editing and gaming. All in all HP Envy All-in-One Computer Intel is a perfect and affordable choice for a future video editor that looks for the quality, performance, and affordability in one desktop. 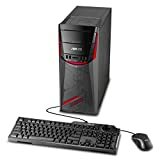 Acer used to have the problem with creating a functional and great quality desktop computer, but in the last few years, they have created one of the best full-build desktops on the market. That is especially true for the Acer Predator line. 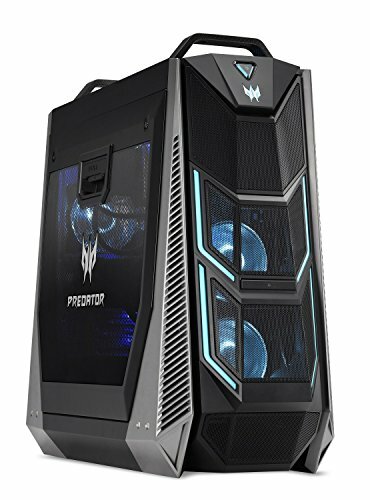 Acer Predator desktops are perfect top-notch desktops for video editing and high-end gaming. There are many price ranges of the Acer predators that come with different hardware, but best bang for your buck is the model that features Intel Core i7 with 3.4 GHz, 16 GB of DDR4 RAM, huge 2 TB HDD, one of the best graphics cards on the market NVIDIA GTX 1080. All in all Acer Predator line will give you all the hardware that you need for the video editing and gaming that you need, and much more. All-in-one stations are expensive, especially high-end ones. But with Acer Predator line you won`t break your bank, and you will get the performance that is top notch. Definitely worth your money. In today’s market, you can find a plethora of all kinds of desktops, many of those are not worthy of the money. But when you are looking for the desktops for video editing, then buying the all-in-one desktop is pretty much the best solution for you, because you are getting everything that you need. Also, what are some standard desktops that are also perfect for the video editing, but you would need to buy additional peripherals so you could use one, but the hardware power that you will get with standard desktops is much better. In the end, everything comes to the preference of the consumer. Which one will you choose?